We put our Christmas tree up the day after Thanksgiving and within the hour I remembered...our tree needed a skirt. This fabric has been living in my stash for a year, purchased on sale after the holidays last year and has been anxiously awaiting it's destiny. It only took two days of looking at the bare tree for me to gather the motivation to put the skirt together. I am so glad I did, you can't leave the tree naked! 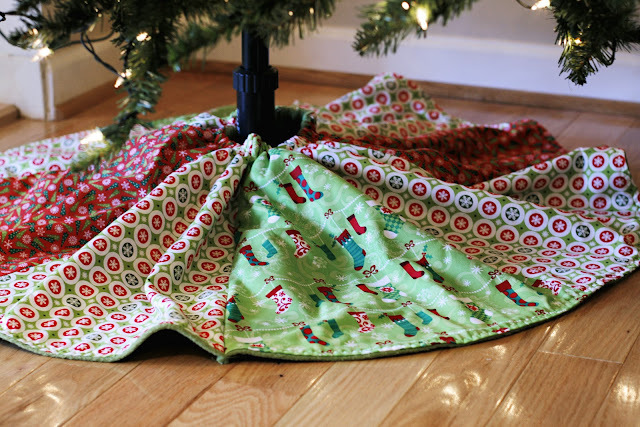 I was inspired by the pictures of Six One Seven 's tree skirt that she made for her house and I loved that she didn't care that hers had flaws, she actually highlights them in her blog post. Reading her post gave me the confidence I needed to let down my perfectionist personality and just wing it...what's the worst thing that could happen? 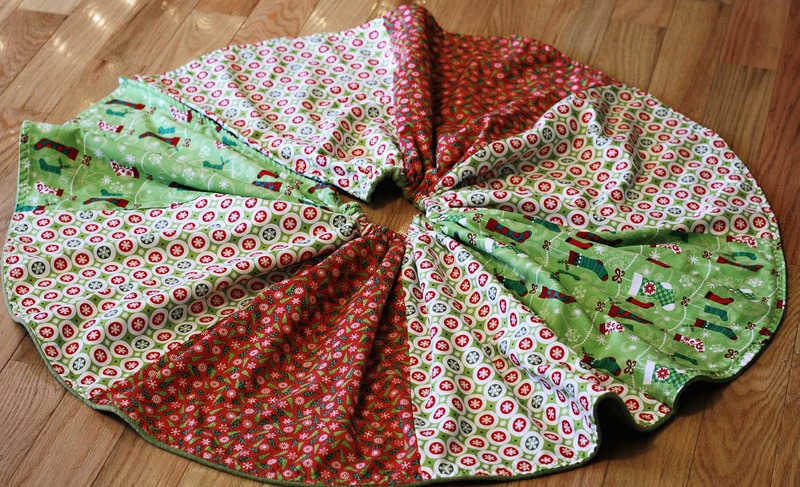 It's a tree skirt for goodness sakes! So I made a pattern and soon after sewing pieces together I figured out that the opening was going to be too big. So I improvised and added a casing for a small strip of elastic so that the fabric hugs the base loosely. I love the colors, I love the flaws and I love that we have something that I made which will be pulled out and used each and every year. Hopefully now it won't take me a another year to make our family matching stockings. Hi! Would you mind sharing with me what the measurements are of each wedge of fabric? Thanks so much!! 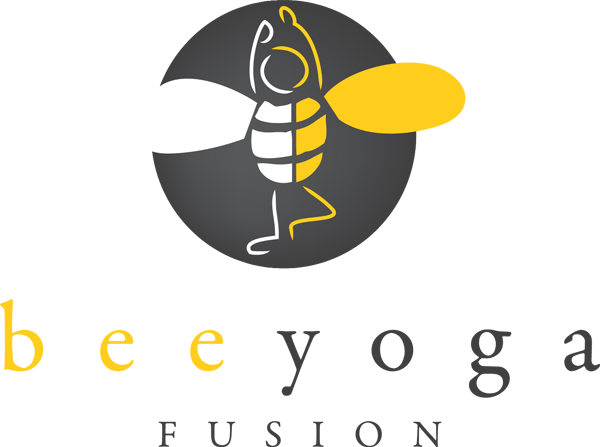 I'm trying to let go of my perfectionist personality too, but I can't seem to figure out how to even start!